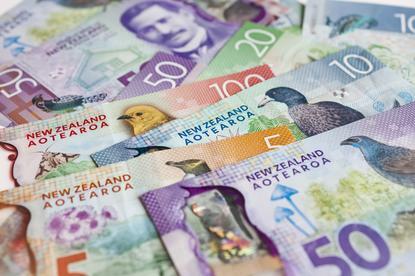 California-based Hellman & Friedman offered $6.45 per share to buy all shares of Trade Me, the company said in a statement on the New Zealand stock exchange. This offer is at a 6.6 per cent premium to Trade Me's closing price on Tuesday and 0.8 per cent higher than the $6.40 per share takeover bid from London-based private equity group Apax Partners received last month. Trade Me has informed Apax Partners, which is currently conducting due diligence, of the competing proposal. "The Board has decided that it is in the interests of Trade Me and consistent with its fiduciary obligations to also engage with Hellman & Friedman on the new proposal," the company said. "The Board notes that there is no certainty either proposal will result in an offer, or any other transaction, for Trade Me." Shares of the company traded 1.8 per cent higher in early trade, compared with a 1.3 per cent lower New Zealand benchmark. As reported by Reseller News, Trade Me was approached by British private equity player Apax Partners with a $2.54 billion takeover offer on November 21. “The Board of Trade Me, together with its advisers, has reviewed the indicative proposal and has decided to engage with Apax,” a company statement read at the time. “Trade Me has provided Apax with due diligence access on an exclusive basis until 12 December to facilitate a binding offer.